I need a birthday card for my mother and as my mother introduced me to stamping all those years ago, I'm sure you can appreciate I feel some pressure to make a pretty special card for her! 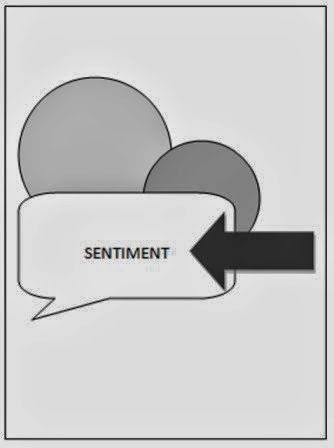 This is what I come up with after an inordinately long time! My mum loves butterfly and dragonfly stamps. The background panel is a piece of glossy white which was colored using the Fossil Stone technique. I used Pool Party, Marina Mist, Wisteria Wonder and Elegant Eggplant inks for this technique. 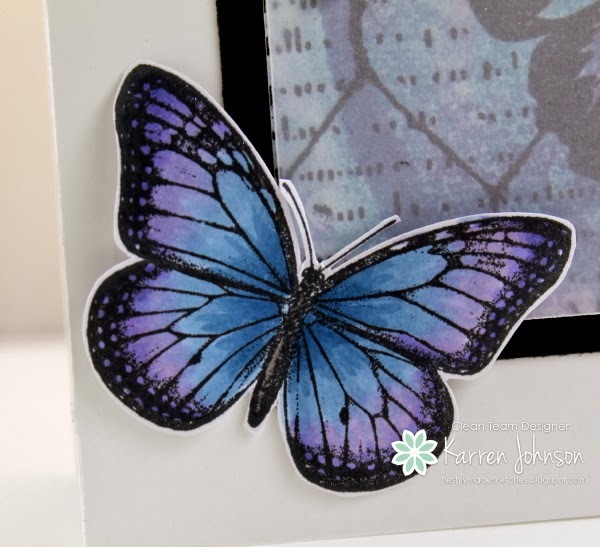 Once that dried, I stamped over it with Hampton Art Stamps 'Mariposa' stamp. A dry-embossed piece of vellum was laid over top and stuck down under the pearls. The butterfly comes from Best of Butterflies and was colored using blue and purple Copic markers before being cut out. The sentiment is from Birthday Bash Sentiments and at the last hurdle, I put a tiny smudge of black ink in the bottom right corner, hence the random pearls! Here's a shot of the inside so you can see the Fossil Stone without the vellum layer. Happy Birthday, Mum! Love ya! 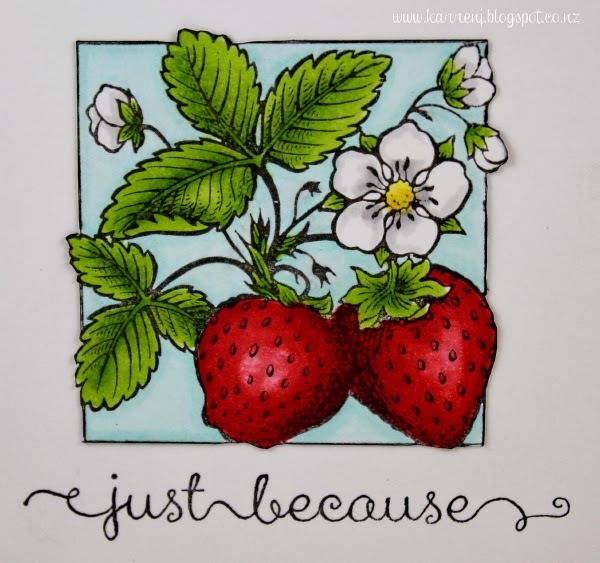 I hope you have a chance to make a card using Narelle's sketch. In the meantime, check out the rest of the Design Team inspiration. 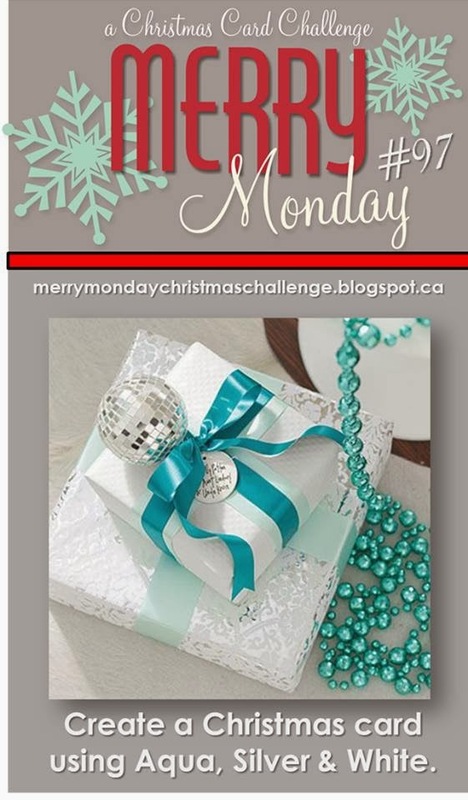 Hi and welcome to another Merry Monday challenge. 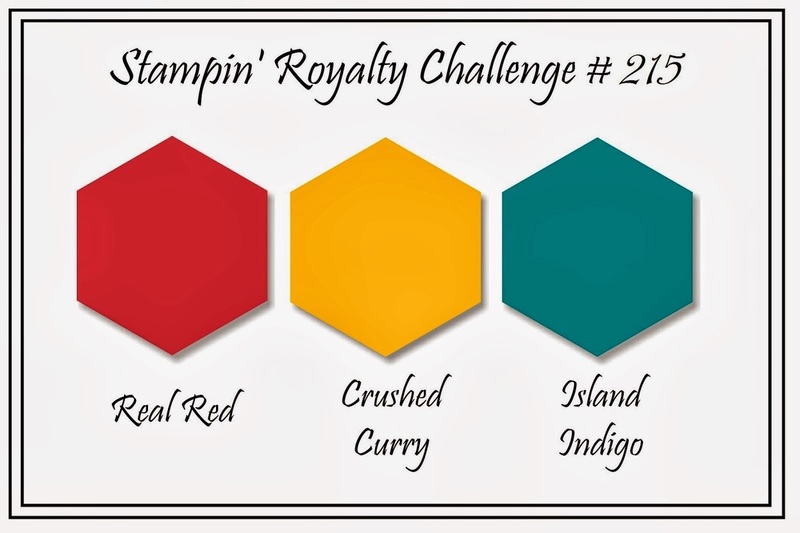 This week's challenge is a very trendy color challenge - aqua, silver and white. I've admired this gorgeous Penny Black image for months and he finally came to live with me about a month ago. This is his first outing. 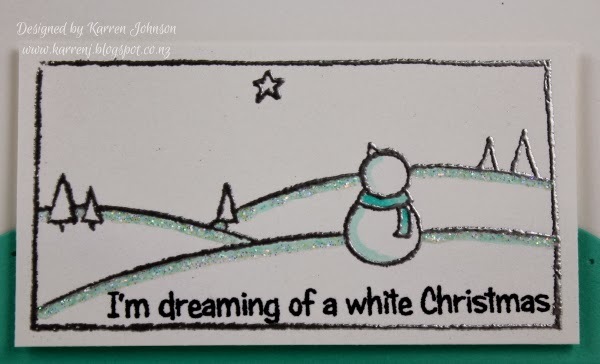 I silver-embossed the snowman image onto Whisper White cardstock, then lightly outlined the snowbanks and snowman with copic markers. I then laid down some Dazzling Details glitter over the color on the snowbanks. I stamped the sentiment right into the image. The image panel is popped up on dimensionals. 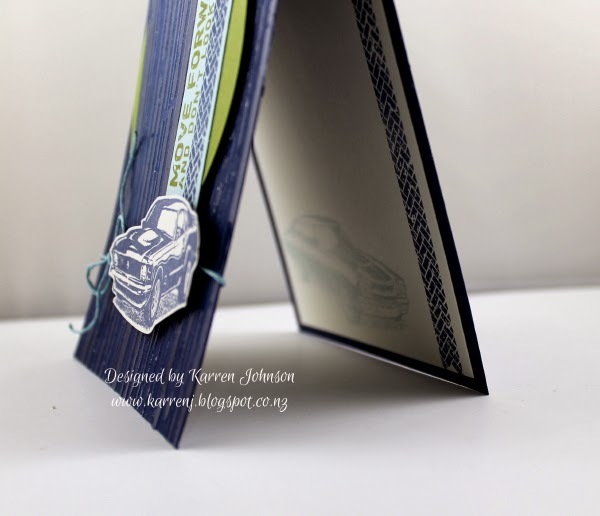 The layout is very simple to allow the main image to shine - some die cut and paper-pierced Coastal Cabana cardstock with a very thin layer of silver cardstock underneath. To finish off the card, I used some silver taffeta ribbon. Thanks for looking. 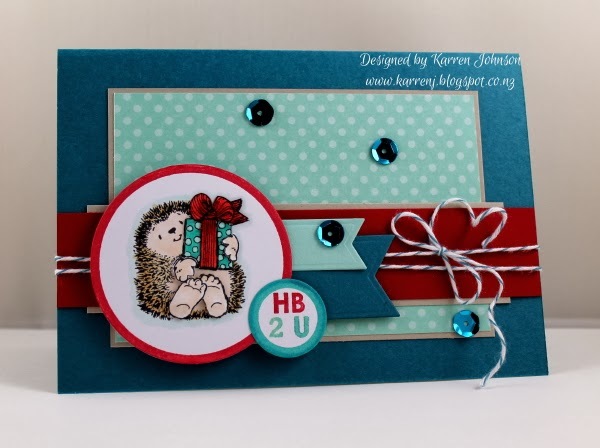 Check out the rest of the DT cards and have a go with this trendy color combo. 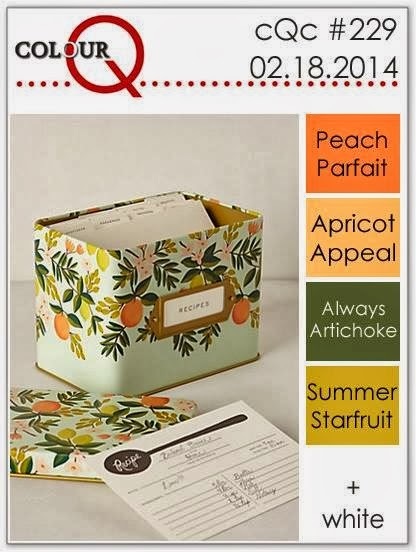 I'm back with a card that uses the sketch from CAS(E) this Sketch and the colors from Stampin' Royalty. 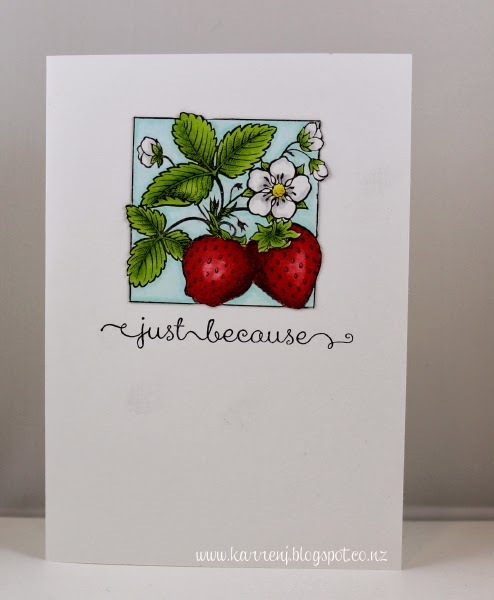 This is a very simple card although it took two attempts because the first time I smudged the red ink! This card is fairly self-explanatory so I won't go into any detail. We're in the middle of a summer storm here - thunder, lightning and hail - I love it! Of course, I only love it because I'm inside and listening to the rain/hail on the roof is something I find quite soothing. Anyway, onto today's card. 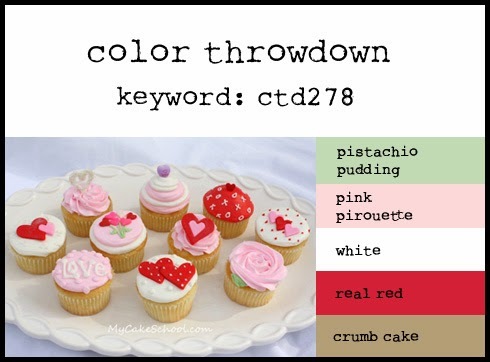 This is a card using the colors at Color Throwdown and the sketch at Seize the Sketch. 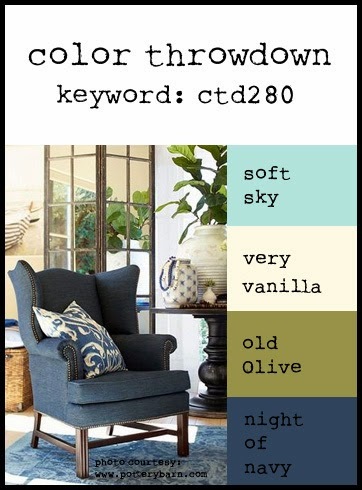 I love these masculine colors and the sketch is one I'm sure to use again. 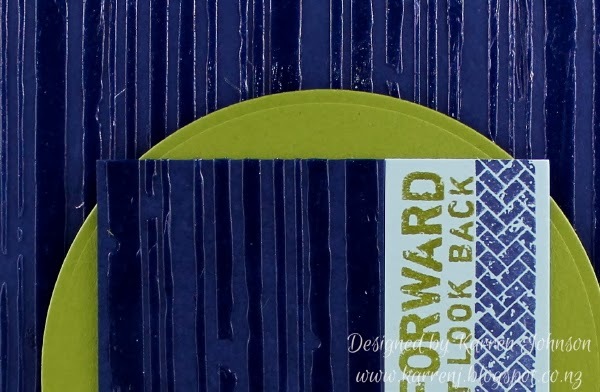 The Night of Navy panels on this card were created using a Tim Holtz stencil and translucent embossing paste. 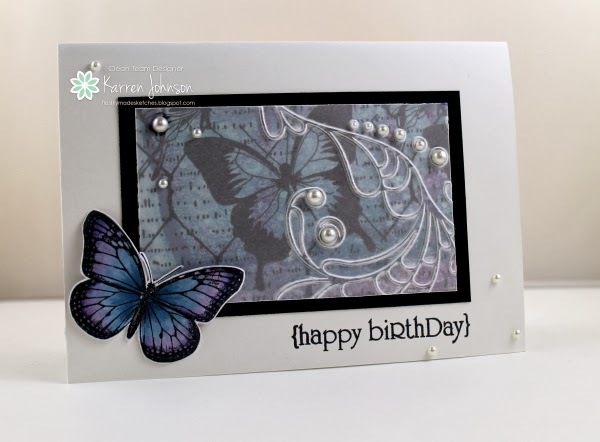 I love the effect - it's like clear embossing but even more textured. I used a new-to-me CTMH stamp set called Maximum Power and stamped the tyre track and sentiment onto a Soft Sky panel and one of the car images onto Very Vanilla before cutting it out. This inside was kept simple with another tyre track and the other car from the set stamped in Soft Sky. I might end up giving this card to my 16 year old son, Matthew, who today got his first car. It's certainly not a muscle car like this one, but he's so excited to have his own car to learn in. And so am I, because for the last 3 weeks he's been learning in my car - a 3.0l BMW - and I've learned he's got a heavy foot LOL. Edited to Add: This card was a Runner Up at Seize the Sketch. Hi everyone and welcome. Today's card is a combination of challenges as well as a technique I've wanted to try for some time and finally manage to fit it in today. 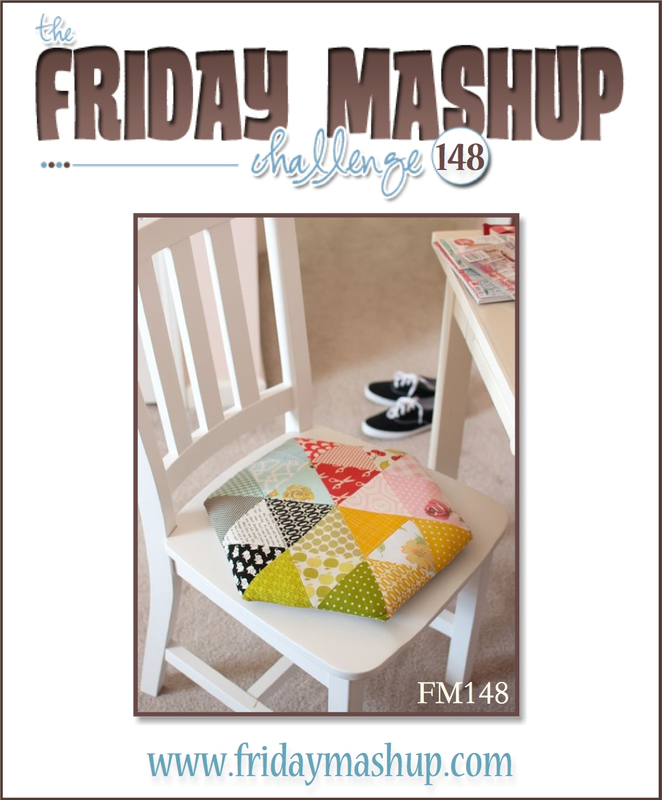 The challenges I'm entering are: Friday Mashup to use triangles or hexagons, ColourQ's color challenge and the sketch from Pals Paper Arts. 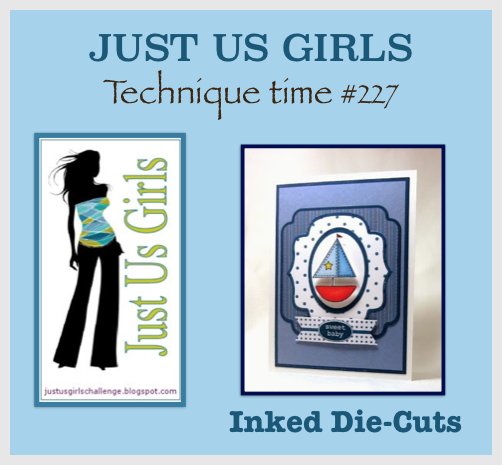 The technique I wanted to try is stacked die-cuts (or whatever it's called!). I colored a scrap of Xpress-it with three Copic markers as close to Apricot Appeal, Peach Parfait and Summer Starfruit, then I cut the piece with the Birthday die cut from PTI. I then stacked 5 other plain white die cuts to build up the thickness of the layer. 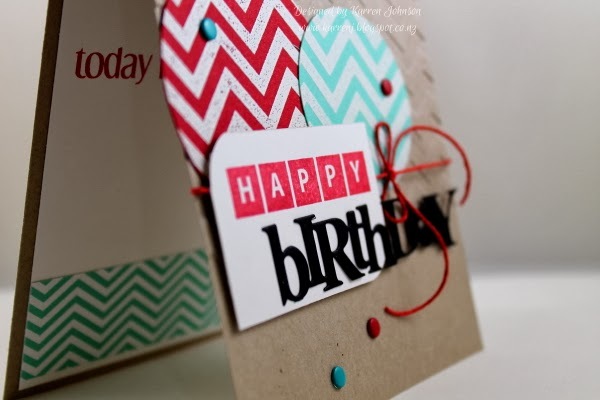 The "happy" was cut with my Cameo and the loops at the bottom were cut and hooked around the "birthday". Both words were covered with Wink of Stella for a subtle glimmer. 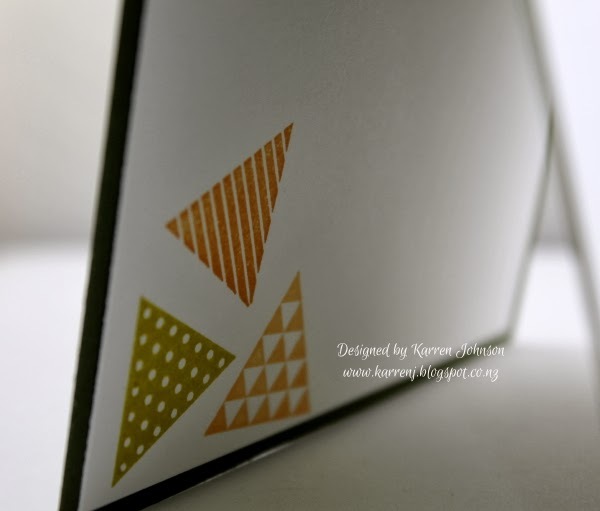 I randomly stamped some triangles from Geometrical onto a Whisper White panel using Apricot Appeal, Peach Parfait and Summer Starfuit ink. 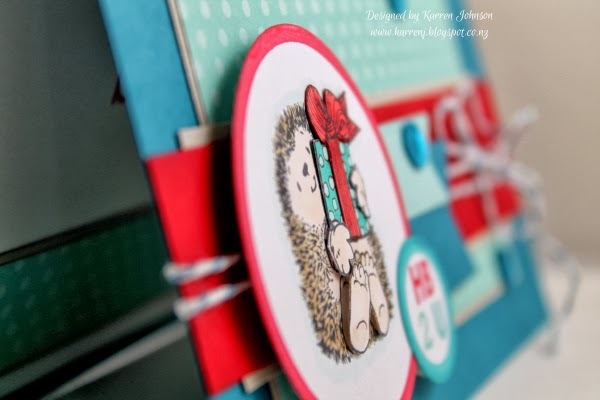 The white panels were layered onto Always Artichoke and some candy dots finished the card. Edited to Add: This card was a pick at Friday Mashup and at ColourQ. 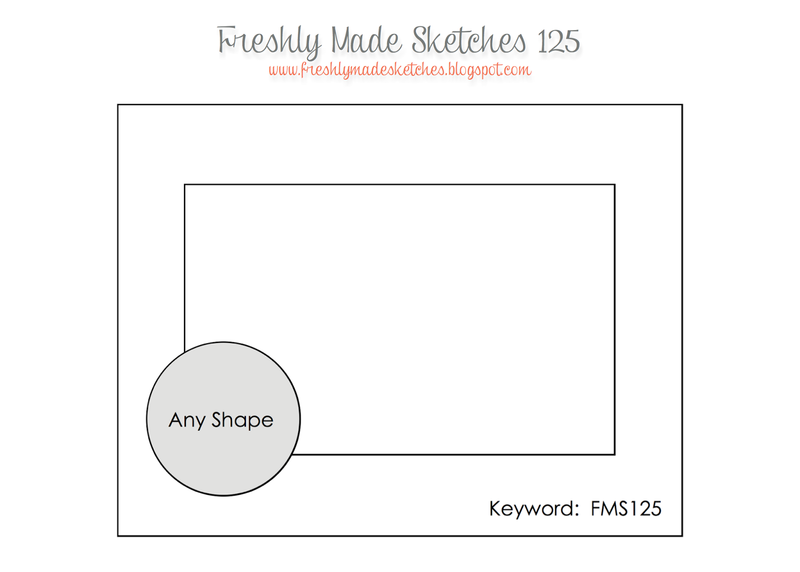 Welcome to a new Freshly Made Sketch challenge. 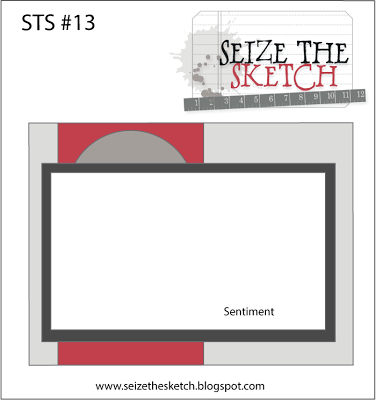 This week it's my turn to design the sketch and I've decided to go square! 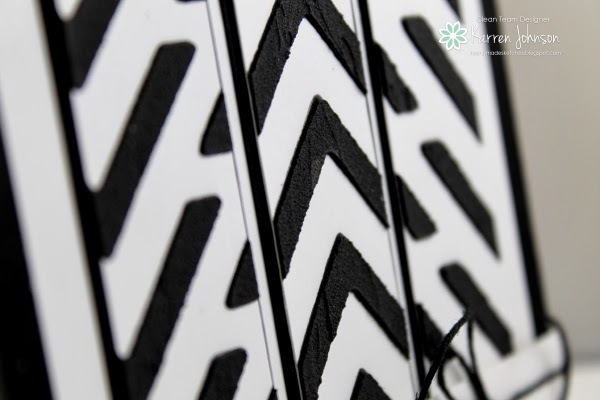 The chevron panels were made using a stencil and some embossing paste I dyed with Basic Black reinker. I then cut the piece into panels and layered them onto Basic Black. 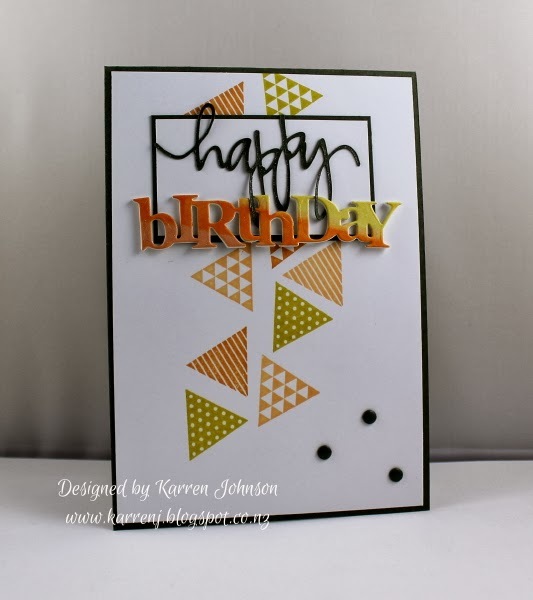 A very simple card suitable for a masculine birthday card. 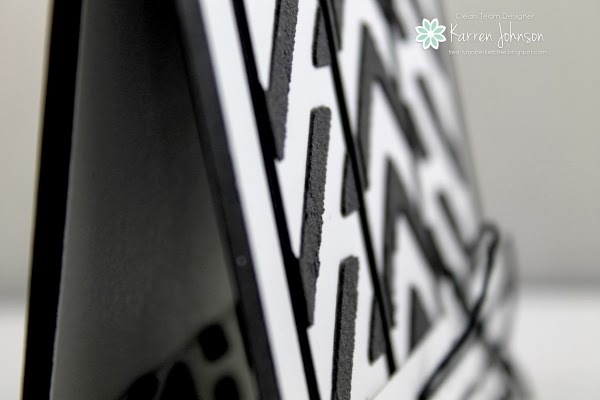 Here are a couple of close-ups of the stenciling panels so you can see the dimension and texture. Thanks for looking. 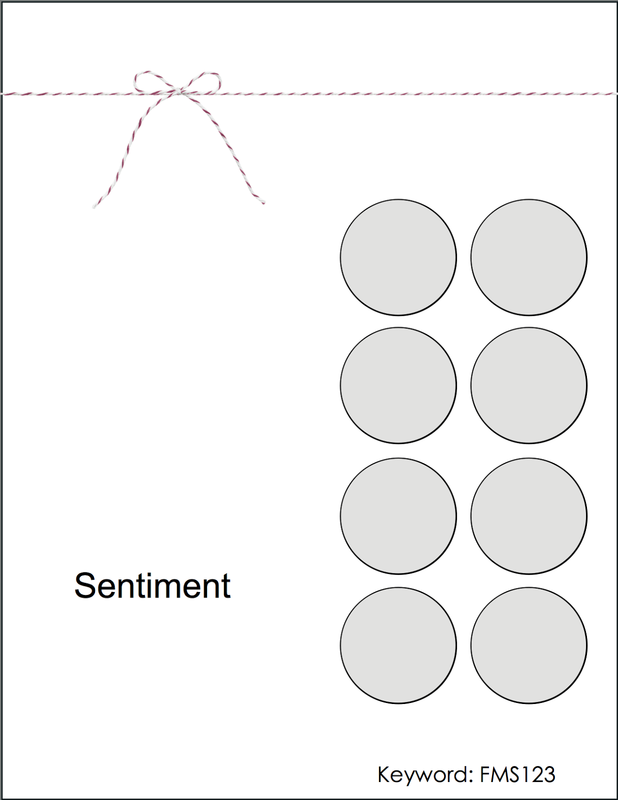 I hope you give my sketch a go - and don't feel obligated to make a square card. 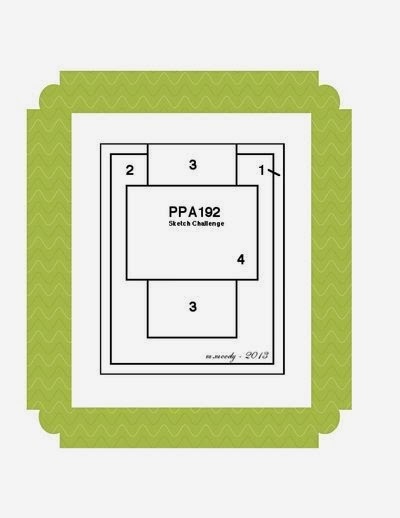 This sketch would work just as well on a rectangle card. 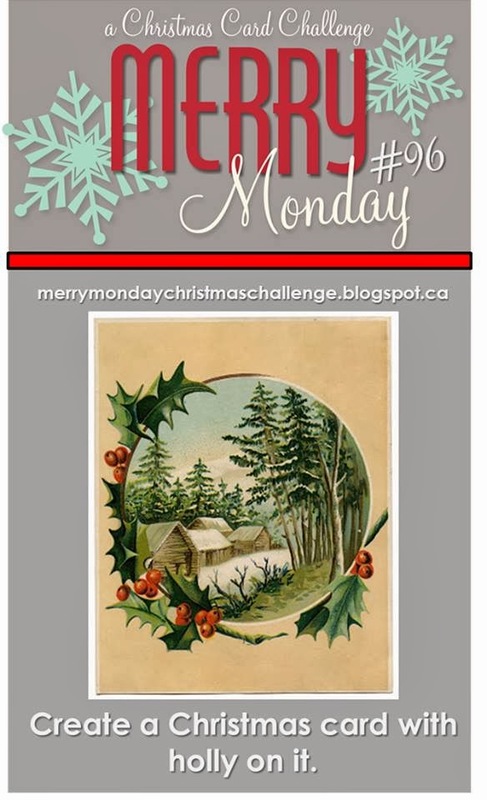 Welcome back to another Merry Monday Christmas Card Challenge. 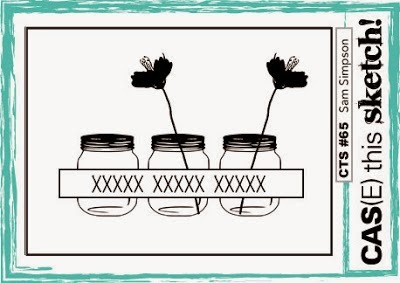 This week, we are challenged to make a card with holly on it. 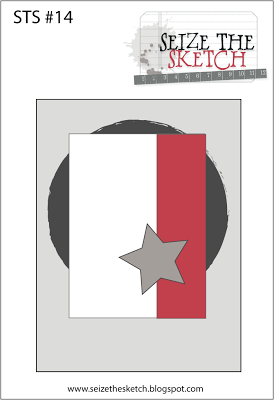 This is a cute digi stamp from Mo's Digital Pencil. I printed it out onto Xpress-it cardstock and colored it with Copics. 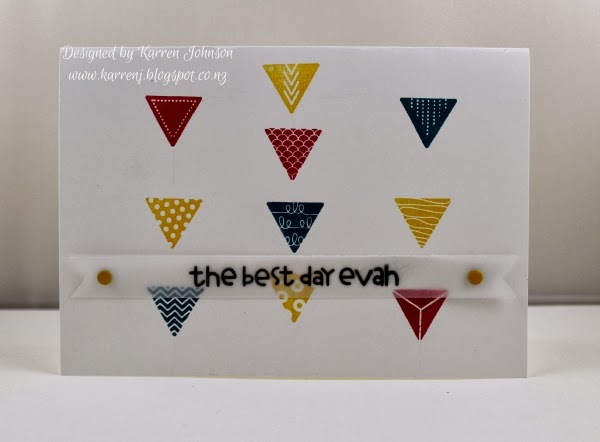 The card base is 5"square Whisper White which was embossed with the Northern Flurry EF and then the top left and bottom right corners were spritzed with Pool Party marker and my spritzer tool. To add a bit of fun, I randomly placed a few blue and green sequins onto the card. Thanks for looking. 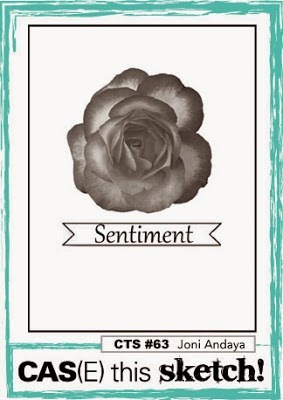 Have you checked out the rest of the DT's cards? They're amazing as usual. 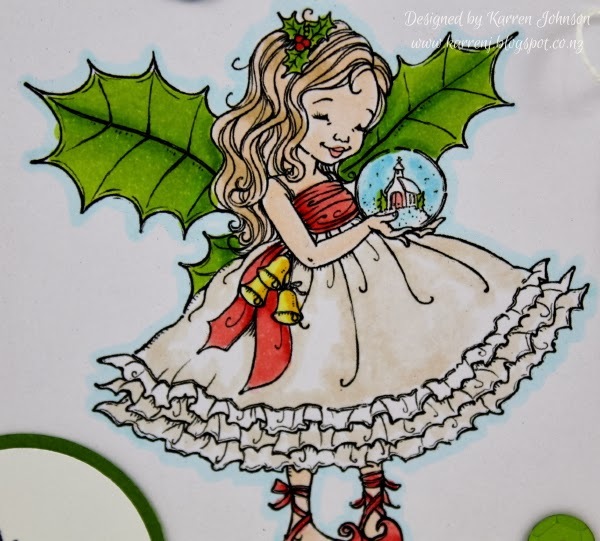 Welcome back to Freshly Made Sketches, where Jen Brum has designed a fun sketch with lots of little elements. I love this sketch and decided to have a bit of fun with it. I punched out 8 circles using my 3/4" circle punch and 8 circles using my 1/2" circle punch. The bottom layer is from Modern Medley and the top layer from Soho Subway and Epic Day. To add a bit of interest to the Pool Party layer, I embossed the panel with the Ampersand EF. The sentiment comes from Another Thank You. I pulled the ends of the Calypso Coral Baker's Twine between my fingernails to curl the ends. Thanks for visiting. 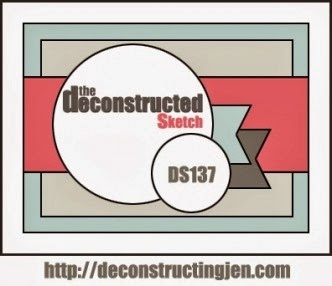 If you haven't checked out the Freshly Made Sketches blog, go and check out the amazing samples from the rest of the DT. 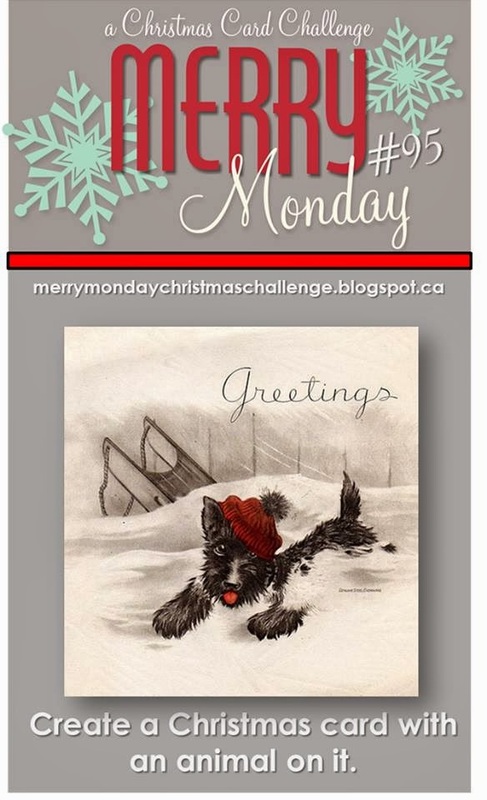 Today's challenge at Merry Monday is to use an animal on your Christmas card. Check out this adorable inspiration photo. For my card, I went with another digi image from Mo's Digital Pencil. I've called this fellow Percy the Penguin. This image was colored before I bought some Xpress-it cardstock, so it's colored onto Shimmery White, which allowed the color to bleed a little. 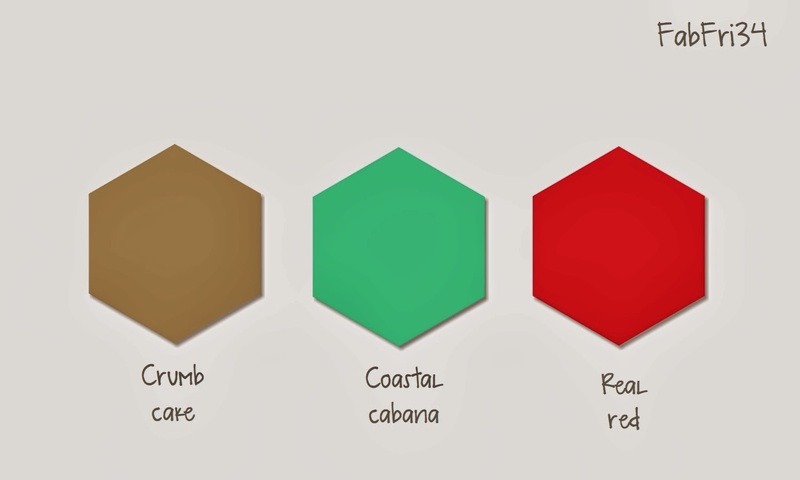 I used the color on Percy's scarf to determine my color scheme, which is Bermuda Bay and Basic Black. 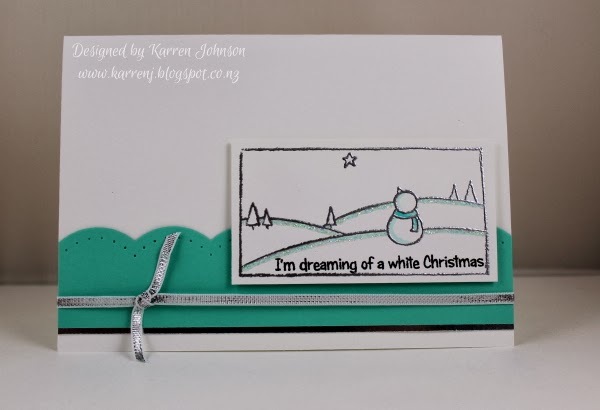 I also did some stenciling using a Simon Says Stamp stencil called Fallling Snow. 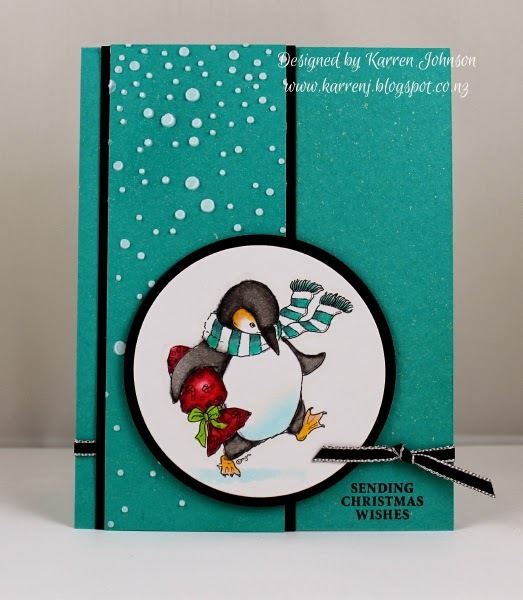 All the Bermuda Bay cardstock was spritzed with some Frost White Shimmer Mist. A sentiment from Joyous Celebration finishes off the card. Thanks for visiting. 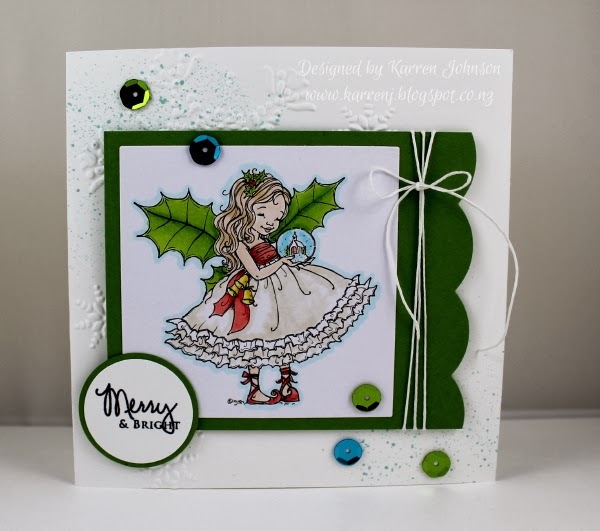 Pop on over to the Merry Monday blog to check out the rest of the DT inspiration and have a go at the challenge yourself. 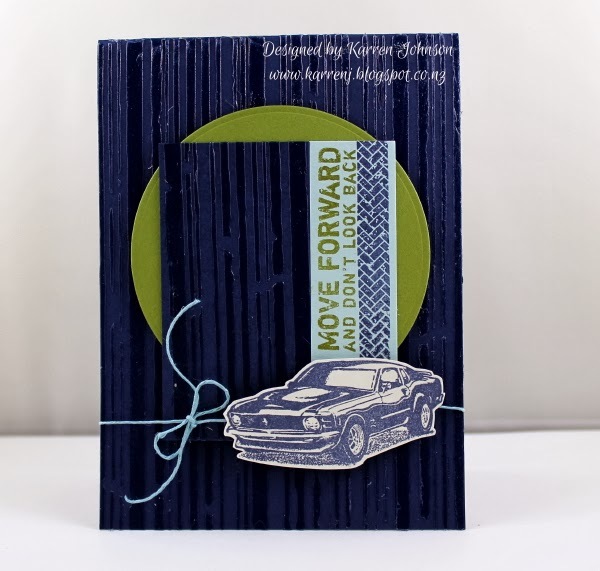 It's Sunday evening here and I had a wee bit of time today to make a card for a few challenges. 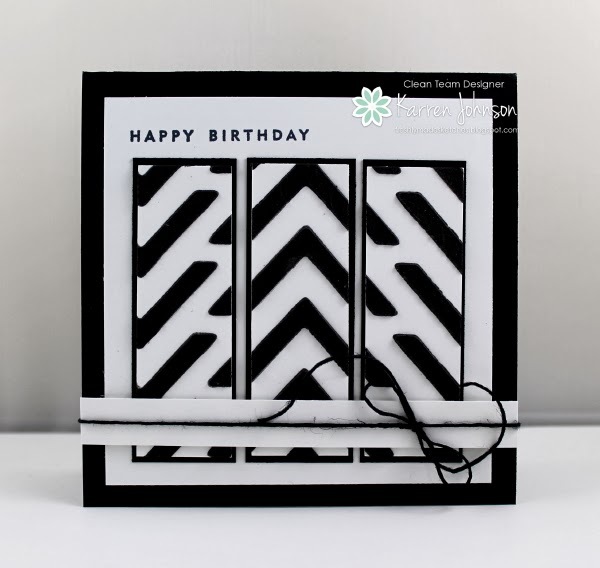 This card uses the sketch from Hand Stamped Sentiments, the colors from Fab Friday and the chevron theme from Seize the Birthday. 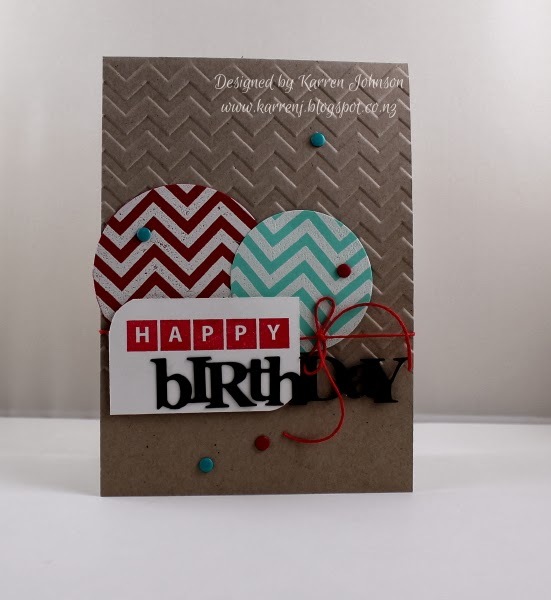 I dry embossed part of the card base using the Chevron EF then white embossed pieces of Real Red and Coastal Cabana cardstock using Positively Chevron and white EP. I cut a panel of Whisper White and rounded opposite corners. I then stamped the sentiment using Real Red. I already had the "birthday" die cut on my table so decided to put that to good use. I tied some red twine around the card but it still looked like it was missing something so I randomly placed some Candy Dots on the card. This is my second post today. Scroll down for my hedgie card. I have several of these old style PSX stamps and I thought it would be fun to color one using Copics. I used this week's sketch at CAS(E) this Sketch. The stamp has words around the outside, but I cut them off, leaving a frame with some of the elements outside the frame. 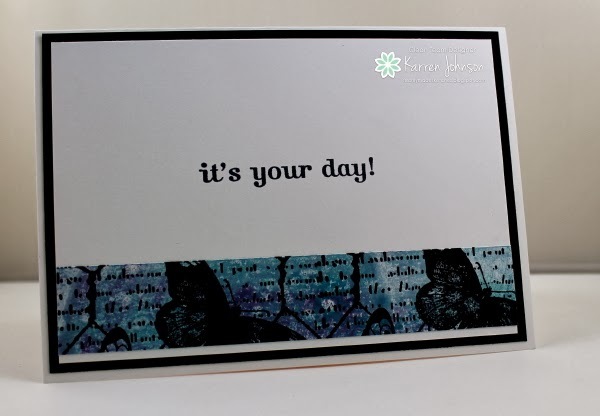 I stuck the image onto Whisper White cardstock, stamped a simple greeting and called it done. Here's a close-up of the image. This card is destined for a friend who is going through a tough time at the moment. 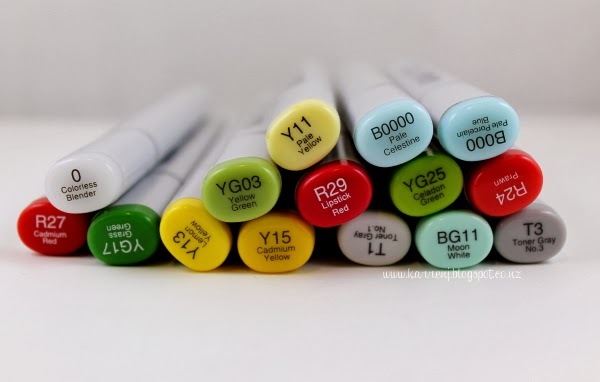 Edited for Cindi, who left a comment querying the colors used: Below is a photo of the Copics I used for coloring. Hope this helps. 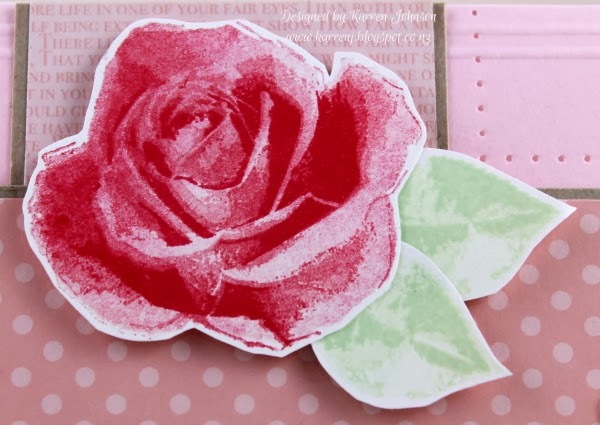 Today's card uses a set I haven't used for quite some time - Kitchen Sink Stamps 3 Step Roses & Hearts. I love the realistic images these stamps create. For this card, I used the colors from Color Throwdown and the sketch from Seize the Sketch. 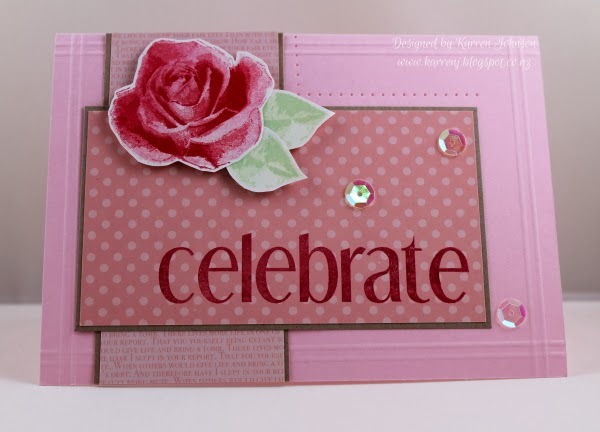 I scored the Pink Pirouette card base and used some retired In Color DSP layered onto Crumb Cake. The sentiment from CASual Fridays Shenanigans set was stamped in Real Red onto the DSP. The rose and leaves were stamped onto Whisper White cardstock using Real Red and Pistachio Pudding inks.